Once again, this screw does not control idle speed. 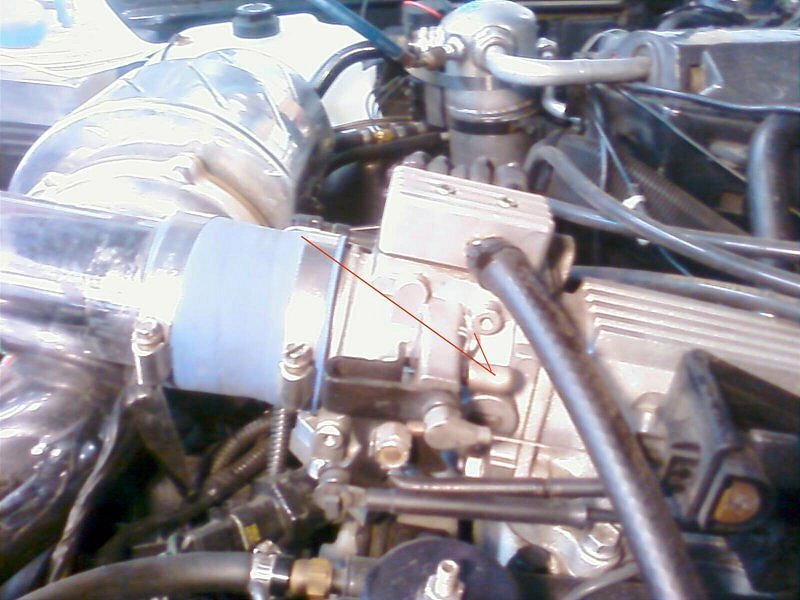 It sets the amount of air going thru the bypass port in the throttle body by changing the relationship of the throttle blade to the bypass port.. Idle speed is controlled by the ECM. See the red arrow pointing at a rubber cap? The screw is hidden under this cap. Pop the cap off and use a torx screwdriver to adjust. If you don't have a torx, you can grab the head of the screw with a pair of needle nose pliers, or similar. Don't be surprised if the cap is missing. I suspect most are by now.